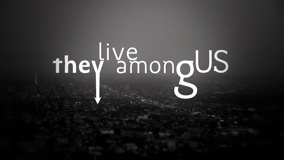 I’ve written a great deal about the experience of “They Live Among Us” from a writer’s perspective; I’ve written in-depth about the characters, the world, the conflicts and dilemmas. Today, you can read about the production. My article “Going Indie Takes Courage” just went live on the Film Courage site. This entry was posted in Uncategorized and tagged Angels, Film Courage, Los Angeles, microbudget, production, webseries. Bookmark the permalink.